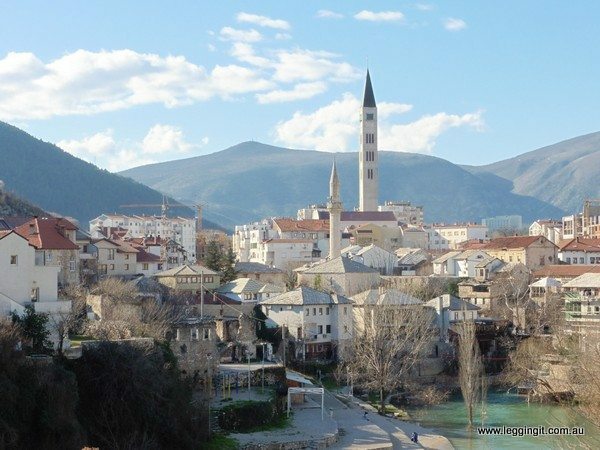 Many people come to Mostar as a day trip from Split or Dubrovnik, while we stayed a few days it is possible to see Mostar in a day. Here are some suggestions of things to see and do to make the most of the time you have there. 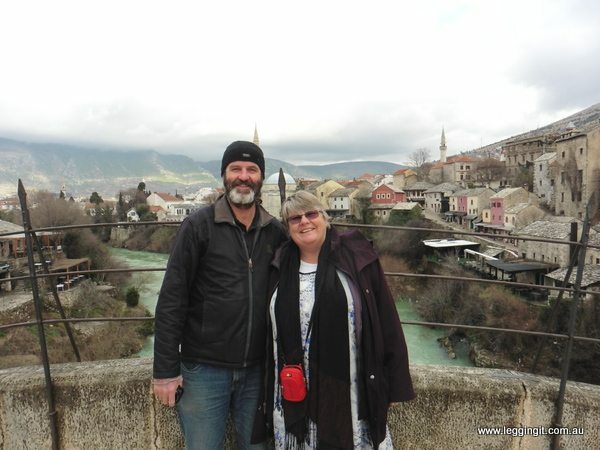 The tour gave us a fascinating perspective of what life was like during the Balkan Wars and also how life is in Mostar now. As far as cost for a personal tour, it was quite cheap working out to about $15 Aus per person and took about an hour and a half. There are also Free Tours offered that you can join if you prefer the type where you pay what you think the tour is worth or other private guides so worth having a look at what suits you and the time you have. Spending some time wandering the Old Town gives you a sense of the history of the area. It is definitely not a place for high heeled shoes, the road is paved with boulders so you need to watch your feet. Our guide told us this was to stop the young ladies looking at the men as they walked by….let me tell you it works, there is no texting and walking in that area. The Old Town is filled with places to watch artisans at work and of course shop to buy not only their works of art but other souvenirs. There are also plenty of restaurants and coffee shops to stop, rest and take in the area. The largest attraction in Mostar has to be Stari Most, the beautiful single-arched stone bridge that spans the Neretva River. 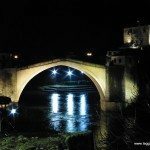 Originating from 1566 when the original wooden bridge was replaced by stone, it is regarded as one of the Balkan’s finest examples of Islamic and an iconic image known by many. 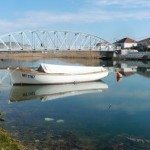 The bridge you see today is actually a copy as the original was destroyed during the Balkan Wars but it still is a sight to behold and well worth the journey to see it. 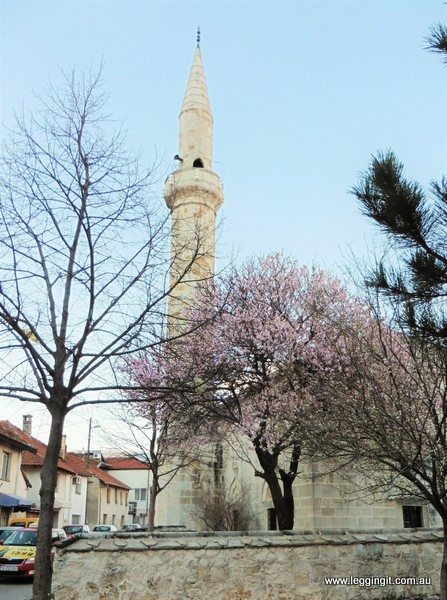 Situated north of Stari Most, The Koskin-Mehmed Pasha’s Mosque is the second biggest mosque in Mostar. It was completed in 1618, it was badly damaged in WWII and almost destroyed during the Balkan Wars. Now rebuilt, for a small fee you can climb to the top of the minaret to take in the vistas. 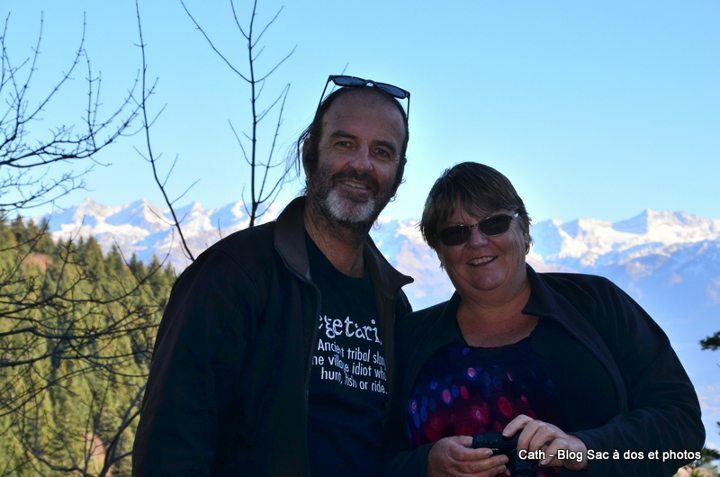 The cliumb is not for the faint hearted but the views are sublime. You can not say you have seen Mostar in a day if you have not tried the food. The food here is a meat lovers delight, with many places offering huge meat platters to share for really reasonable prices. 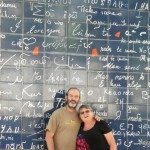 We discovered a beautiful place that ticked all the boxes for us Restoran Harmonija ….. above you will see their platter for two. We rarely recommend places but this really was good, so good that we returned a couple of times. It had everything we look for freshly cooked, reasonably priced food and excellent service with the added bonus of a balcony overlooking the river. Another thing we tried while in Mostar was Ćevapi a kind of Bosnian kebab. Small grilled meat sausages served with onions, kajmak ( a type of feta cheese), ajvar (a red capsicum/pepper sauce and pita bread. Delicious and well worth seeking out. 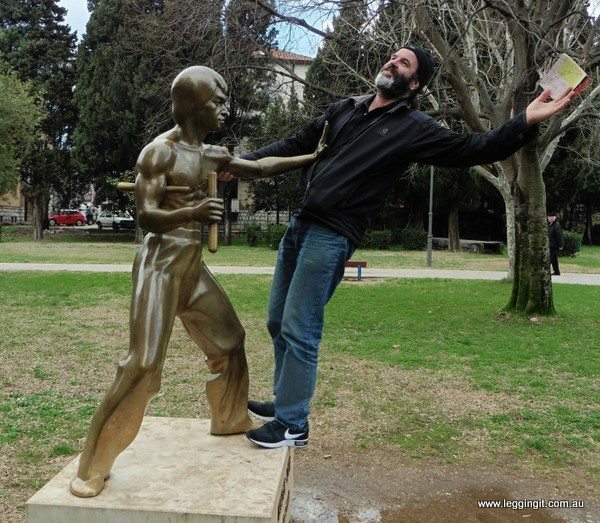 One of our more unexpected finds in Mostar was this statue of Bruce Lee which is situated in Zrinjski City Park. Apparently, he became a cult hero to the young people of Yugoslavs during the 70s and 80s. While they loved kung fu type movies in general Bruce became a favourite through the pirated videos that arrived. 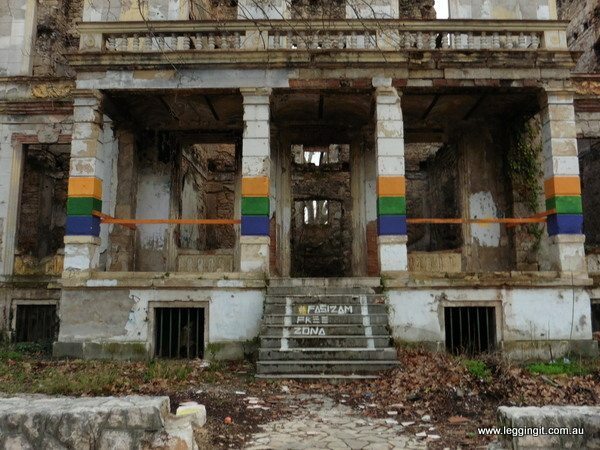 While the countries are now divided since the Balkan Wars, Bruce Lee unites them in some way. 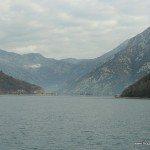 When Mostar wanted to build a Peace Monument many names were put forward to the people and Bruce Lee won the honour over Gandhi and even the Pope. The statue was unveiled in 2005 and was the first public monument to Bruce Lee in the world beating Hong Kong by only a day. 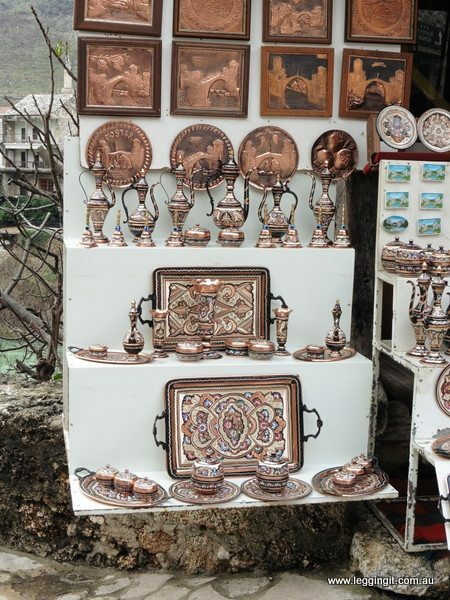 These are just a few of the things you will find to keep you busy in Mostar for a day. It is a fascinating and confronting city. Where many of the other parts of the former Yugoslavia seem to have just moved on from the Balkan Wars, Mostar still bears visible scars with abandoned buildings all over the city. Don’t let this scare you off from visiting though, for us it really worth visiting. 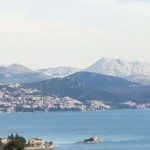 Accommodation in Mostar is very reasonably priced and there is a wide choice of accommodation options if you do a search below you will be able to get the best price available from all online providers. What a great place to visit, even when it’s a little cold. I always like to stay overnight where others only take a day trip. I think the atmosphere in some places completely changes after the daytrippers go away. Many times this has happened to us and they just stay on my list for next time.I hope you don’t have to wait too long. There is plenty to see and do, I am sure you will enjoy your time there. I have never heard of Mostar. 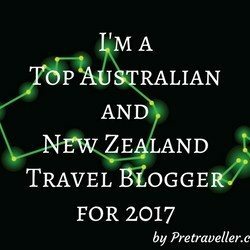 Thanks for this great post that has now put it on my list! 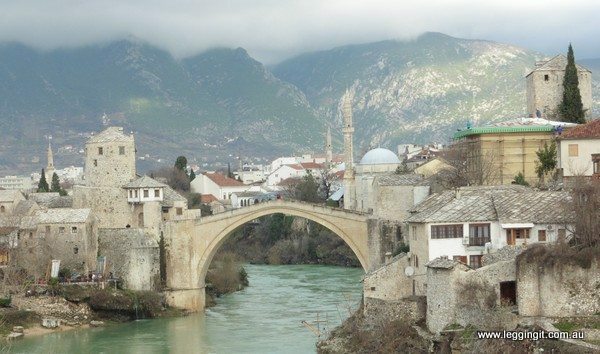 Mostar is not a place on my list, but I see I should rethink this! Thanks for an informative post. Your food photo makes my mouth water, too! 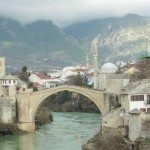 I appreciate your Mostar in a day article. Sometimes we only have a day in a city or location. You certainly made the most of it!! Excellent article!